In the World of Warcraft, there exists one number that can make or break your day, depending on who you’re interacting with: GearScore. GearScore is a mathematical formula that tries to rank players based on what equipment their character has, on the assumption that harder to get equipment means you’re a better player for having it, much in the same way that driving an expensive car might indicate more personal wealth. People looking to organize groups in the game often recruit for their groups solely by advertising GearScore requirements: “Looking for damage dealers, 5K GS minimum!”. Anyone who doesn’t meet this score doesn’t get invited to the group. 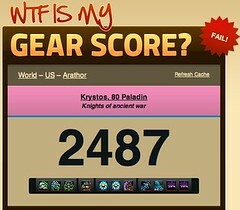 The problem with GearScore is that harder to obtain gear isn’t necessarily indicative of a more skilled player. At best, it’s a weak correlation. For example, a player that works primarily in a healing role can get a very high GearScore from wearing damage dealing equipment – but that player will be completely ineffective as a healer. A player can have one character that is supremely well equipped but might have a second character that he just created that will have an abysmally low GearScore. The player behind the character may be incredibly talented, but the equipment and thus the GearScore will not reflect this fact. Why do Warcraft players looking to create groups rely on such a potentially unreliable scoring mechanism? Because in the absence of better metrics, it’s what they’ve got to work with for making snap decisions, and the weak correlation is still strong enough that on average, a group composed of high GearScore players is somewhat more likely to fare better against fire-breathing dragons than a group composed of low GearScore players. 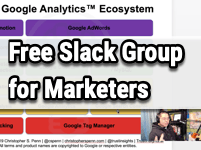 So what does a geeky algorithm like GearScore have to do with anything? For years, companies, especially in financial services, have evaluated potential employees based on credit scores. Like GearScore, credit score may have some correlation to a future employee’s abilities to be effective, but given how tumultuous the economy has been in the last 3 years, any company relying on this number may lose perfectly good candidates. Why would a company rely on such a mechanism? For the same reason the Warcraft folks do – it’s a metric that lets computers and/or HR clerks filter through piles of resumes very quickly. Set a minimum credit score of 700 and your job as an HR clerk is much easier, as you’ll throw away 80% of the resumes in your inbox immediately. 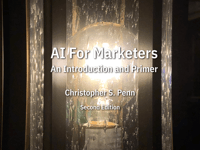 Is there more to you than this one-dimensional metric? Probably. 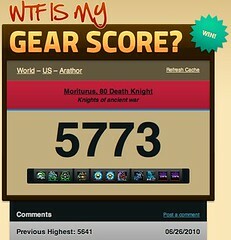 Will people push this score or another like it just like the Warcraft folks push GearScore? Probably. Be prepared to address it if you’re a social media professional, because there’s an ever-growing chance that a decision-maker may hire or pass on you in an instant based on this one number.